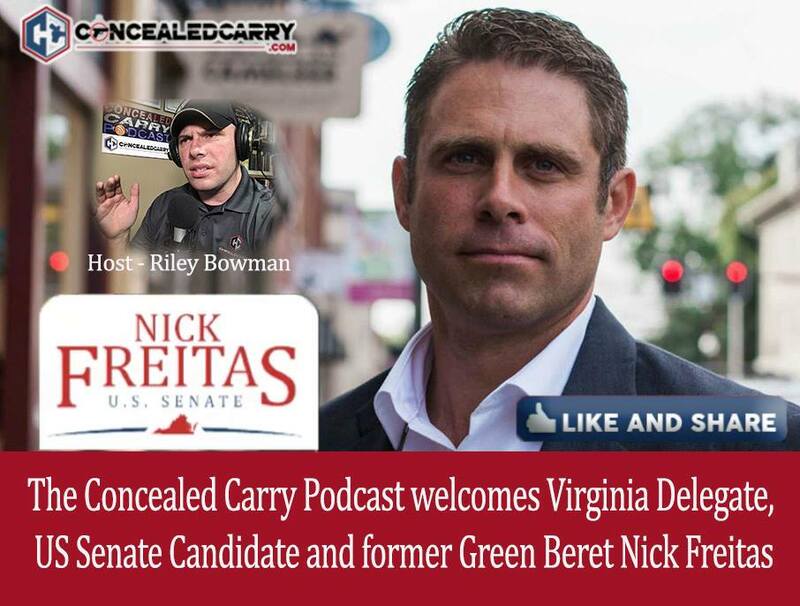 Today's episode will knock your socks off as Riley interviews Virginia Delegate and 2018 U.S. Senate candidate Nick Freitasabout finding a path forward in this current battle over the 2nd Amendment. Delegate Freitas recently garnered a lot of attention with a viral video of a speech he gave in the Virginia House of Delegates in support of the 2nd, but more importantly he made a solid case for the need for proper and logical debate on the issues. PLAY above to listen to this fantastic interview! Sorry. Ken, I’m not sure I understand?? God bless our vets and current military. All carry a heavy load. Riley, you keep on keeping on dude. DO YOU KNOW ABOUT 300BELOW.COM? THEY CRYO TREAT BRLS, KNIVES… THEY GET MORE ACCURATE AND SHARPER. I’VE SENT THEM IN 3X OVER THE LAST 30 YEARS AND HAVE NEVER HAD A BAD EXPERIENCE! CHECK INTO IT. TAKE SEVERAL OF YOUR GUNS PATTERN THEM ON CARDBOARD AND THEN SEND IN THE BRLS. THEN SHOOT THEM AGAIN AND WATCH YOUR GROUPS SHRINK. FIXED CHOKES IMPROVE MORE THAN REM CHOKED BRLS. DID YOU KNOW ASSAULT WEAPON WAS HOW GENERALS MARKETED A RIFLE TO HITLER? THAT’S ON THE HISTORY CHANNEL. Regarding Nick Freitas, Candidate for VA Senate against Tim Kaine, he is a good speaker and i like his remarks on the 2nd Amendment. He has spoken on Virginia’s Lobby Day to the pro gun groups, very passionately. In his debate with Cory Stewart (pro-gun Candidate), they were discussing Sanctuary Cities and the Government withholding money to CA to get them to comply with Federal Laws. Freitas did not think that the Federal Government should exert power over States. To get a State to follow Federal Laws, in my OP the Government should be able to make them follow the laws. So far that is the only thing that I dislike about Freitas.